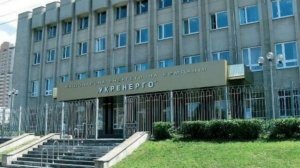 The Koretsky Institute of State and Law under a request of National Energy Company Ukrenergo has confirmed the absence of powers of the commission for reorganization of Ukrenergo to manage the company’s affairs. According to the findings of the scientific and legal analysis, the text of which Interfax-Ukraine has, the commission created by order of the Energy and Coal Industry Ministry No. 728 dated December 5, 2017, is not vested with the authority to manage the affairs of Ukrenergo and its current activities. At the same time, according to the findings of the institute, the Energy and Coal Industry Ministry has not authorized the commission to manage the affairs and current activities of Ukrenergo, but only to provide organizational support for the Ukrenergo transformation process. As reported, the ministry on October 18 said that the commission for reorganization of Ukrenergo, which from October 9 is headed by Blyzniuk, has decided that powers to manage the company are transferred to the commission head, which is aimed at the successful completion of the reorganization process. Ukrenergo said about the deliberate obstruction of corporatization and the process of the introduction of the electricity market by the commission for reorganization of the company, which members are approved by the ministry. 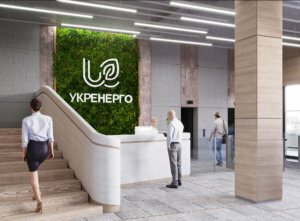 The business court of Kyiv on October 23 suspended the decision of the commission for reorganization of Ukrenergo about the delegation of powers to manage the company to the head of the commission in the person of Deputy Energy and Coal Industry Minister of Ukraine Mykhailo Blyzniuk. National Energy Company Ukrenergo has urged Ukraine’s Energy and Coal Industry Ministry to announce a tender to build new highly maneuverable generating facilities to balance operation of renewable energy facilities, the company has said on its website. Ukrenergo recalled that in case of further rapid growth of green generation and an increase in its share, problems with its balancing may arise. “According to the results of the analysis, we modeled several scenarios for the development of events, provided that measures were not taken to properly balance green energy. In particular, the main negative consequences will be the restriction of renewable energy sources with the compensation of the feed-in tariff for unproduced electricity or the increase in the volume of coal generation and the restriction of nuclear power, given the need to increase opportunities for balancing. Both scenarios will be a significant obstacle to overcoming dependence on fossil fuels and improving the environment in the country,” the company said. The company also said that any restrictions on the connection of renewable energy facilities and the provision of technical conditions are prohibited by the Transmission System Code, provided that the customer complies with the requirements of the Code. 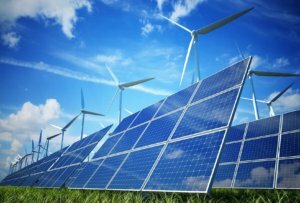 “The development of renewable energy in Ukraine is an indicator of the country’s attractiveness to the international community. In this regard, the company expects to continue constructive cooperation with state security agencies in responding to potential threats to the Ukrainian energy system and supporting the initiative to build new highly maneuverable capacities,” Ukrenergo said. Earlier, the Security Service of Ukraine, in a letter to the Prime Minister, expressed concerns about the destabilization of the country’s energy system due to the “excessive” issuance of technical conditions for the connection of renewable energy facilities. 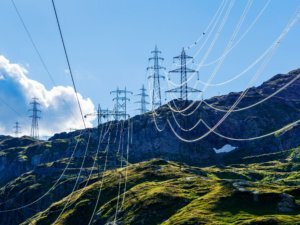 National energy company Ukrenergo and the electricity transmission system operator SEPS (Slovakia) on October 2, 2018 agreed on building a new power line as an optimal solution for boosting power transmission between Ukraine and Slovakia, the press service of Ukrenergo has reported. “According to the agreements, a new 400 kV overhead line will be built, which will connect the existing 400 kV substations Mukachevo and Velke Kapusany in the single-circuit version with the possibility of further upgrading it to double-circuit in case of an increase in the volume of interstate flows,” the company said. According to the press service, the project also envisages reconstruction of the 400 kV open switchgear at the Mukachevo substation. “In the next three or four years, at the Mukachevo 400 kV substation, it is planned to replace the existing 400/220 kV autotransformer (АТ-3) 400/220 kV (installed in 1964), as well as equipping the 400 kV complete switchgear with gas insulation,” Ukrenergo said. Considering the condition of the existing 400 kV overhead line Mukachevo-Velke Kapusany, which has been operating since 1963, its modernization was recognized as inexpedient. The line will work until the launch of the new line. The company recalled that this project is a candidate for projects of mutual interest (PMI), the list of which will be approved by the Council of Ministers of the Energy Community in the autumn of 2018. The Cabinet of Ministers of Ukraine at a meeting on Wednesday approved the supervisory board of national energy company Ukrenergo, consisting of four independent members and three representatives of the state. Former head of the EBRD representative office in Ukraine Sevki Acuner, ex-president and CEO of Energinet (Denmark) Peder Andreasen, General representative of the National Academy of Technologies of France, having experience of working in EDF, Elf Aquitaine, Total and the French Energy Council Olivier Appert, co-founder and CEO at DFC Economics (Italy), who earlier worked in TERNA Rete Elettrica Nazionale and Enel, Luigi De Francisci joined the board. Deputy State Secretary of the Cabinet of Ministers Serhiy Kushnir, State Secretary of the Ministry of Energy and Coal Industry Maksym Nemchynov and Advisor to Deputy Prime Minister Oleksandr Poplavsky will represent the state on the board. 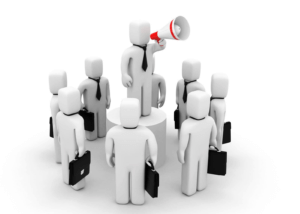 “The reform of the management of state-owned enterprises is progressing. Today, another large and important enterprise for the country’s economy, the state-owned enterprise Ukrenergo, received a supervisory board, which includes experts with successful experience in international markets,” Minister of the Cabinet of Ministers Oleksandr Saenko wrote on his Facebook page. “All of them have proven successful experience in implementing commercial projects in the energy sector, experience in transformation processes, led by national power grid operators such as Électricité de France, Enel, TERNA Rete Elettrica Nazionale and Energinet. Among them are qualified financiers and power engineers with experience of operational and strategic management of energy companies that have worked in the industry for decades,” he said. National Energy Company Ukrenergo and state-owned enterprise (SOE) Energomarket in December 2018 will launch software required for the operation of the retail segment of the new power market, Deputy Prime Minister of Ukraine Volodymyr Kistion has said. He said that the terms are outlined in the plan of the implementation of the law on the electricity market verified by the heads of the Energy and Coal Industry Ministry, the National Commission for the State Regulation of Energy, Housing and Utilities Services (NCER) and the parliamentary committee for fuel and energy complex. “The first stage of the reform related to the retail market segment will start already in December 2018. Two months later, Ukrenergo and Energomarket will launch the required software, and NCER will approve the last part of the acts needed to effectively launch a new market,” Kistion wrote on his Facebook page. The deputy prime minister added that the Energy and Coal Industry Ministry, in turn, is obliged to forward the bills on the rules of ensuring the supply of electricity to protected consumers and the rules of holding a tender for the construction of generating capacities, the introduction of energy efficient measures to the government in the shortest possible time. National Energy Company Ukrenergo is heading to the final stage of corporatization and the end of this process is expected approximately in the middle of November, Ukrenergo CEO Vsevolod Kovalchuk has said. “The process was delayed because the reorganization commission had no evaluation. Now it is completed, a positive review from the State Property Fund has been received,” he told Interfax-Ukraine on the sidelines of the YES Conference organized by the Victor Pinchuk Foundation in Kyiv. Kovalchuk said that the commission should approve the audit of the balance to be transferred, for which the necessary materials were sent to the ministries. According to him, the next week or in two weeks the answers will be received, after which the process will reach the formal final stage: the charter will be approved and registered. The draft charter has long been developed. After that, Ukrenergo will be transferred to the State Property Fund with the subsequent return to the ownership of the Energy and Coal Industry Ministry. “This process will be completed in full before the middle of November,” the head of the company said. He added that synchronously to the process the supervisory board is being approved. “The selection (of four independent members of the supervisory board] was completed two and a half or three months ago, but there is no decision on the appointment yet. I hope that this issue will be resolved in a week or two, and this will open the way for further transformation of the company, and the corporate governance reform will be completed,” Kovalchuk said. He found it difficult to name the size of the charter capital of Ukrenergo following the results of corporatization, since it is necessary to approve the audit of the balance of payments to take into account the remarks, if any, on including or excluding certain assets or ownership rights into or from the charter capital.